A black lambskin leather pencil skirt from Saint Laurent that features a high waist, rear zip fastening, cut out detail with a zip trim and a straight hem. Made of 100% lamb leather and lined with 100% silk. This skirt comes with a $2,990 price tag. So how would you wear your saint Laurent black leather skirt if you owned one? We’ve put together an outfit idea pairing a Saint Laurent black leather skirt with a Red Valentino feather sleeve open knit top. The outfit we’ve put together would probably be better suited for a night out on the town with your girlfriends or for a date night with your guy. You probably don’t want to make this your first date look if you’re hoping for things to evolve into serious relationship territory. The top is from RED Valentino – a $589.22 feather sleeve open knit top with turkey feather accented sleeves. 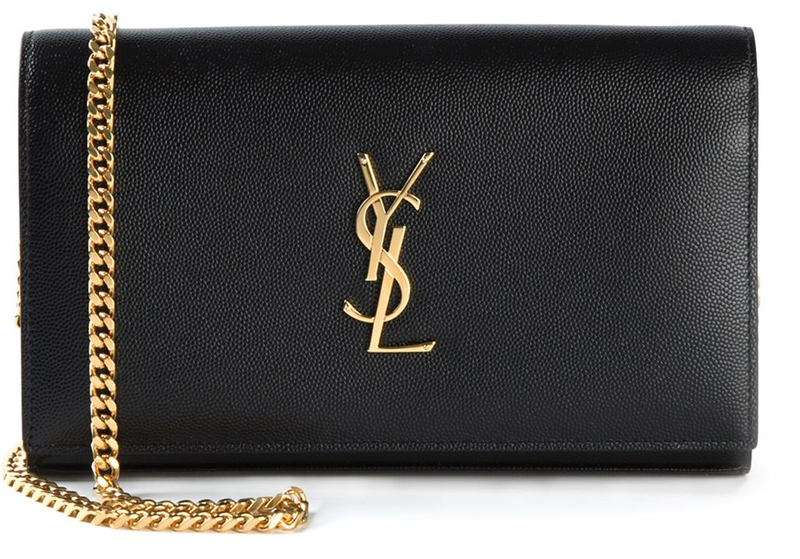 The The medium Saint Laurent black calf leather ‘Monogram’ satchel. Bag comes with a $1490 price tag. It features a front flap closure, a gold-tone logo plaque, a gold-tone chain shoulder strap and an internal zipped pocket. Priced at $749.11, this black leather buckled ankle boots from Gianmarco Lorenzi has a pointed toe shape and sleek stiletto heel. Side zipper and buckle detail; quilted vamp. Add a pair of bold gold earrings and a black gold bracelet! 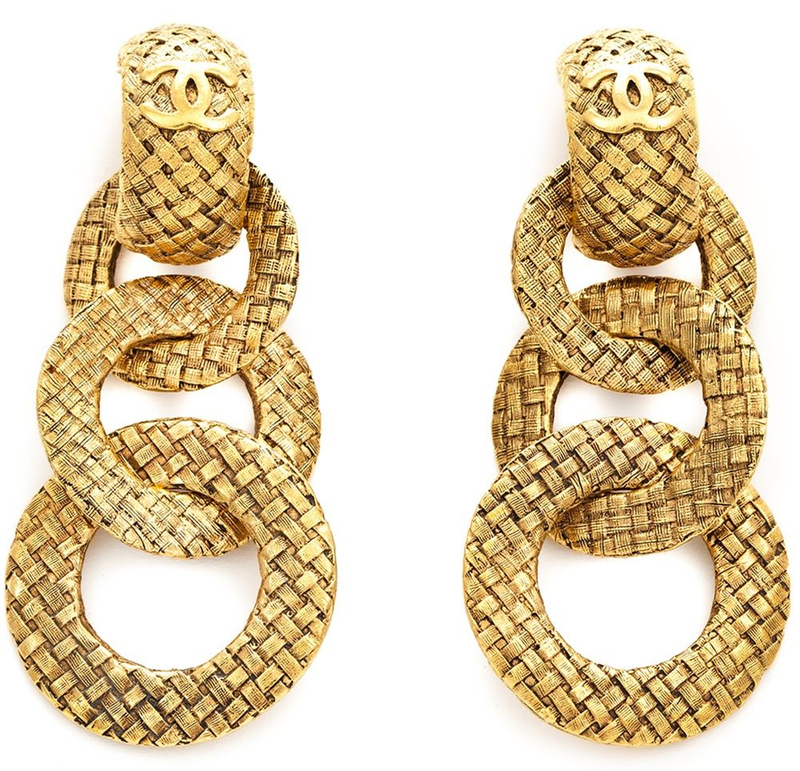 Chanel Vintage 18kt gold hoop dangle earrings. These come with an $1100 price tag and feature clip on fastening, an internal logo plaque, an embossed logo and woven interlocking hoops. Black leather ‘Clous De Paris’ bracelet from Saint Laurent. 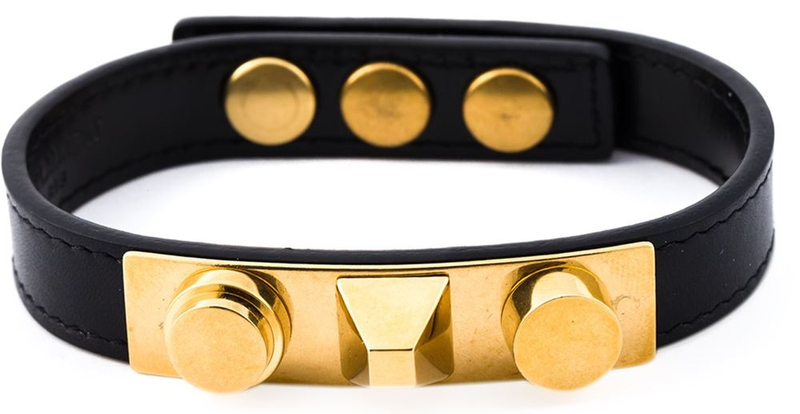 Comes with a $395 price tag and features gold-tone stud detailing and press stud fastening.